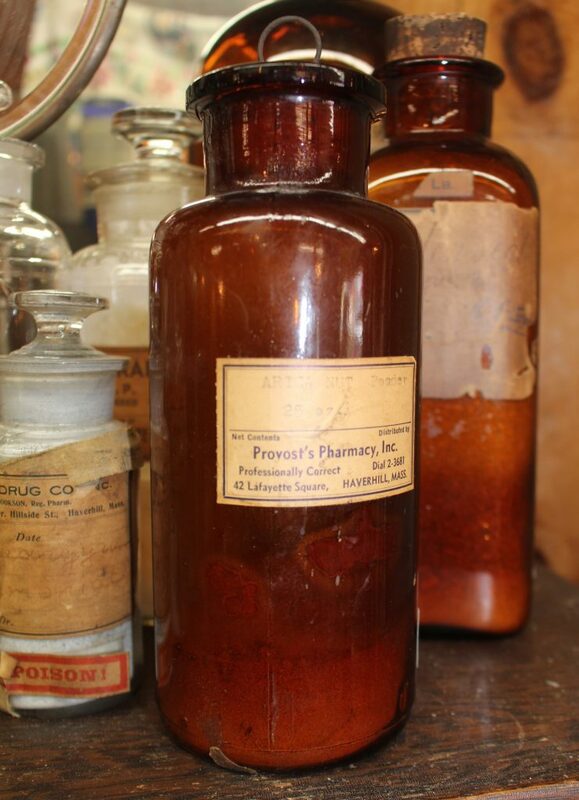 We are always on the hunt for medical & apothecary bottles with original paper labels. 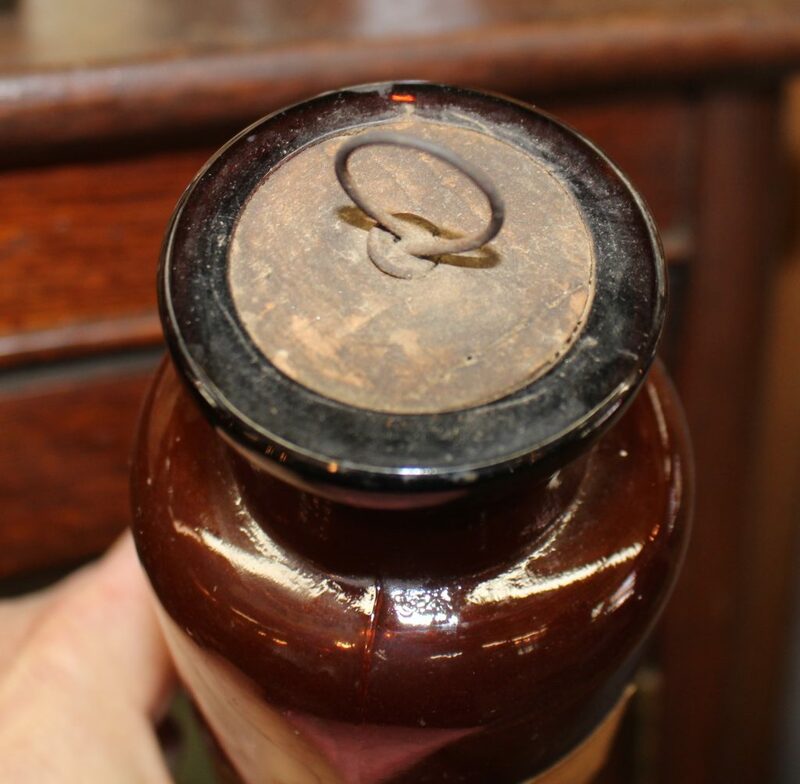 Not only does this bottle have its original paper label from Haverhill, it has its original cork & wire pull ring. Very good condition–no chips or cracks.